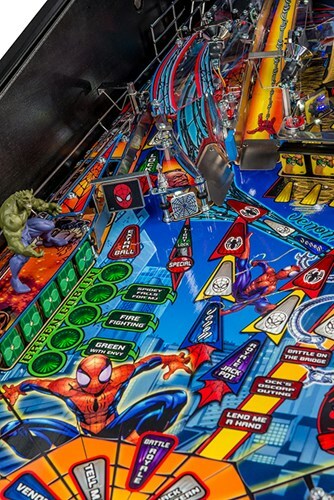 Kevin O'Conner utilized the film’s art resources and created the back glass and playfield art, while Marc Shoenberg and Mark Galvez also worked with the film’s art direction, to produce the cabinet art. 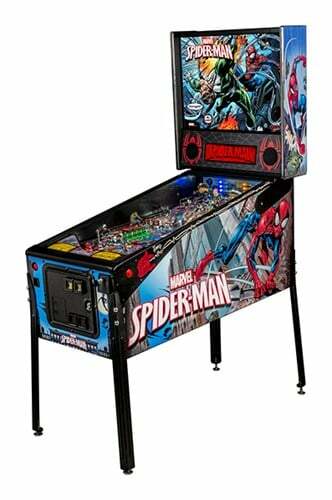 The pinball machine has a phenomenal music and a sound package composed and adapted by David Thiel. 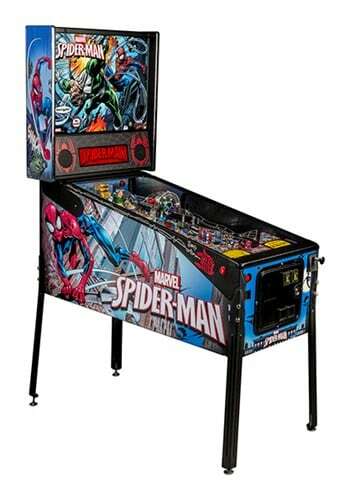 The game also features stunning dot matrix animations created by Mark Galvez, recapturing key scenes formSpider-Man , Spider-Man 2, and Spider-Man 3. 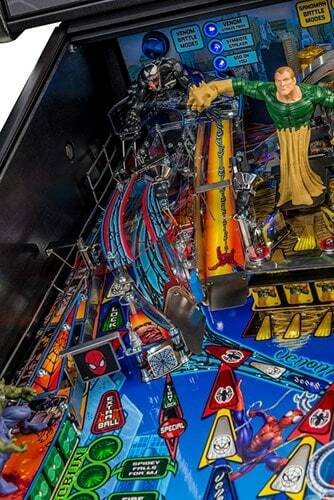 Earning very well and eminently collectable, SPIDER-MAN™ pinball from Stern is a solid and entertaining package that will rock the pinball universe. 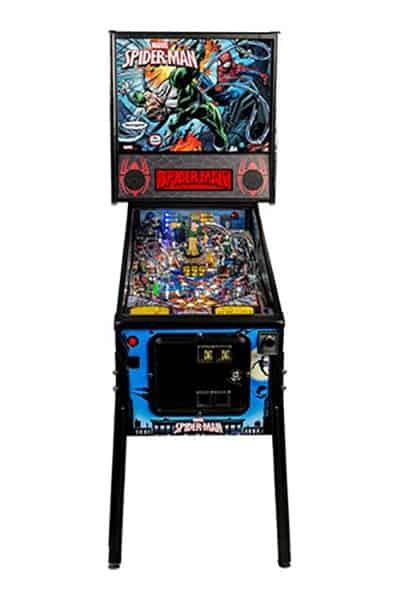 Unboxed Dimensions: H: 75.5"; W: 27"; D: 55"; 250lbs.